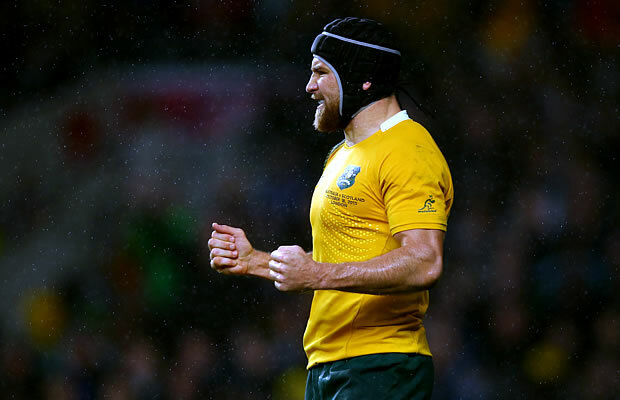 Wallabies head coach Michael Cheika has included Matt Giteau in a 36 man training squad for the Rugby Championship. Cheika has also included four uncapped players in the squad that will assemble in Sydney on Monday (August 1) ahead of the Wallabies camp on the Central Coast. The four uncapped players include Waratahs prop Tom Robertson and Rebels forward Lopeti Timani who are in the train-on squad for the first time. “We have had a great week with the players in our initial training squad and they’ve enjoyed working hard together,” Wallabies Head Coach Michael Cheika said. The squad also includes four overseas-based players, with Adam Ashley-Cooper, Will Genia, Matt Giteau and Drew Mitchell all selected ahead of the opening Bledisloe Cup Test in Sydney. “All of our eligible European-based players expressed a desire to play for the Wallabies during The Rugby Championship and that experience is invaluable,” Cheika said. “We have a very clear purpose in this team and we are prepared to work very hard to respect that purpose.”.